How do you advertise a feature that pauses movies when you look away from the screen? You could say it’s a low budget personalized version of the TNT push for drama, but the connection to the product benefit is much closer here. There are a lot of things that can add drama, but no other phone with the same function as the S4. It’s a fun spectacle to watch. I just wish I got the chance to try this out, even though I know I wouldn’t have made it till the end. Hello I'm a copywriter student at Hyper Island currently on the lookout for an internship. You can find my portfolio at kickasscopy.se. My top 5 movies in the Guldägget nominations. It’s time for the annual Swedish advertising awards show Guldägget. They leaked one day early so I thought I’d take a chance and give you my top five favorite film ads. Made by Forsman & Bodenfors (congrats on receiving the most nominations). 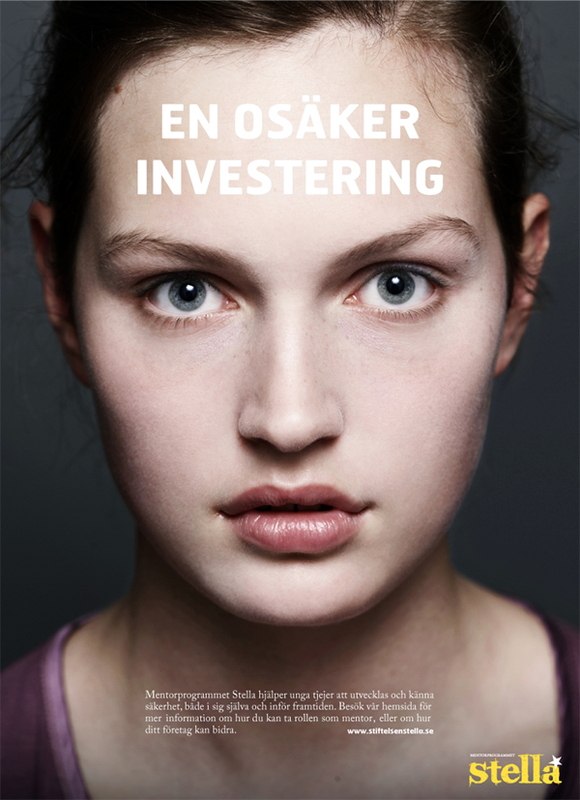 For none Swedish speakers: this ad is about how your stomach might feel. Actors, who are in different floors in a building yelling at each other for not doing their job right, replace all parts of your digestive system. This one is in English so it won’t need an explanation. There are so many ads like this; what would you do if you became a multi millionaire? So if you want to make it good, you have to go into the extreme. And I think King did it, and they did it very well. If it’s unclear the guy builds his favorite spot at his favorite place, a subway station at a beach in Thailand. Another great one in English from F&B, I felt so guilty when I watch this that my parents actually got this as their Christmas gift. I love it. I’m not sure if I even have to explain what kind of recruitment this is, especially if you can just keep one eye on the subtitles. There’s been a shortage of post the last few days. The reason for this is that I competed in the print ad competition 48H. The brief was to increase donations to the female mentor program Stella. And here’s the winner. The headline reads “An in/unsecure investment.”. The word for insecure and unsecure is the same in Swedish. I think it’s a very worthy winner; the picture goes very well with the headline and message they want to deliver. It’s professional from an all out student team. Congrats to: Madelena Stunis (AD), Magnus Ekbladh (Copywriter) and Samuel Kantala (Strategist). I didn’t place but you can see my ad here. senior living care on The lights are on but nobody’s home. Muay Thai Boxe on The lights are on but nobody’s home. Hye on The lights are on but nobody’s home. http://imgur.com/u24srDe on The lights are on but nobody’s home. house keepers augusta ga on It’s time for Droga5 to show you why I love them.